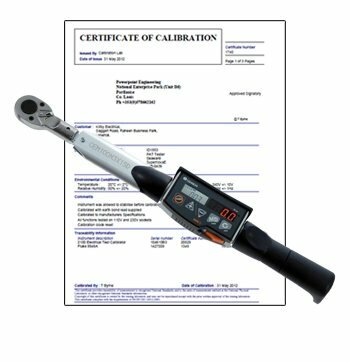 Health and safety demands have driven the need for calibration with service providers such as electrical contractors. The CER has been committed to raising the standards in the electrical industry by way of new regulation, more training and restricting electrical contracting to only qualified and certified people and calibration is one part of this initiative. If an electrician has a good knowledge of “test and verification” and uses an instrument that can be trusted any potential safety issues can be detected before the customer or public get in contact with an electrical installation. As an example, loop impedance is a very important post connection test but is also the most troublesome function on a tester. If a tester has not been calibrated for a few years this reading could be getting gradually worse over time. Any installation tested in this time should be rechecked, which is going to cost the contractor time and money and affect customer confidence. In time all of the newly introduced regulations will improve standards in the electrical industry and the onus is on contractors to comply. This will provide confidence that the job has been done to a good standard and should protect you from liability in the future. For more information or to schedule your next device calibration, email sales@powerpoint.ie or phone 0578662162.